Prezentare The Greek myths have intrigued countless generations of readers with their exciting tales of adventure, calamity, and conquest. 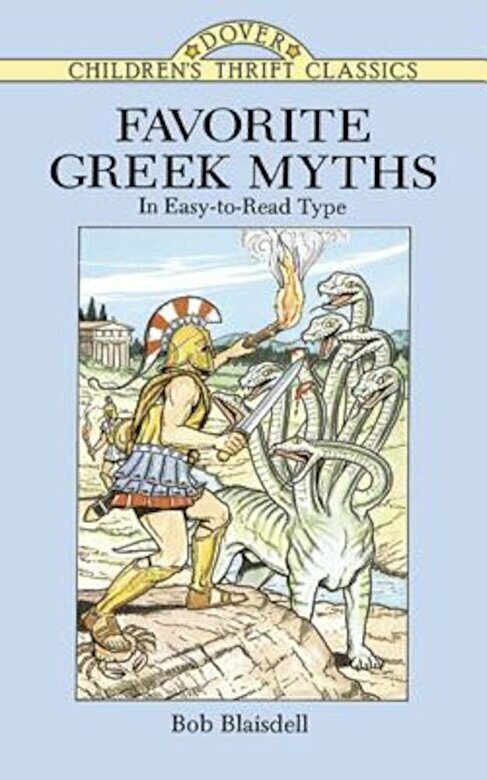 This entertaining collection -- excellently retold for young audiences by Bob Blaisdell -- invites children to relive the memorable experiences of familiar characters from Greek mythology. Taken directly from the writings of Homer, Hesiod, Sophocles, Aeschylus, Euripides, and other ancient storytellers, the myths recount the stirring and imaginative tales of Pandora's box, Prometheus, the dreaded Cyclops, the labors of the mighty Hercules, the captivating stories of Narcissus and Echo, Aphrodite and Eros, Daedalus and Icarus, Hades and Persephone, and many more. Set in large, easy-to-read type and enhanced by six full-page black-and-white illustrations, these enduring fables from the fountainhead of Western civilization will thrill and delight new generations of adventure-seekers.